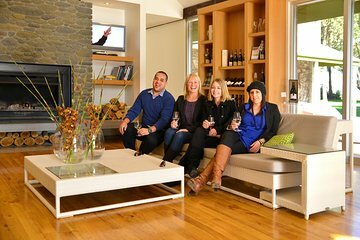 After morning pickup from your accommodation in Picton, relax as you travel through the Wairau Valley to your first winery of the day. Learn from your guide about the Marlborough wine region, which is renowned throughout New Zealand and the world. At each winery, the host presents an informative wine tasting experience with tastings of a range of red and white wines. Enjoy tastings at two wineries before stopping at a third winery for a tasting and lunch at the winery restaurant (own expense). In the afternoon, you'll visit three to four more wineries, depending on the time. Wrap up your day with a visit to a gourmet chocolate factory that includes samples of their fine chocolates. Your tour ends with return to your accommodation in Picton.